Former President Olusegun Obasanjo, PhD, has commended European International Boxing Federation welterweight champion, Larry Ekundayo, stating that ‘Larry’s achievements are Nigeria achievements’. 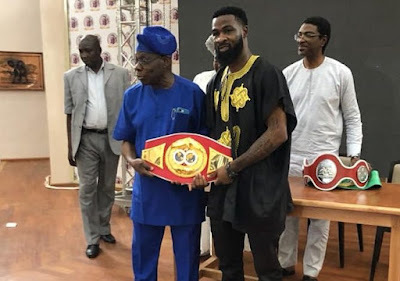 Obasanjo who hosted the boxing champion at his residence in Ota, Ogun state, on Tuesday, called on Nigerians to support Ekundayo while urging the boxer to remain focus and bring more honours to Nigeria. Meanwhile Ekundayo has called on the private and public sectors to invest in boxing in Nigeria by establishing academies. Ekundayo, who was hosted by the General Overseer of the Love of Christ Church, London, Rev. Mother Esther Ajayi, in Lagos on Monday, said establishment of boxing academies would help develop the sport in the country. “I must confess that the road to fame for me has been a very torturous one. I started boxing since the age of 12 and truth is that, I lacked the basis foundation or springboard with which I would have launched myself into the career. ‘’With Rev. Ajayi and her Church, I found a home and that is why I cannot embrace any other Church than hers because she stood for me when there was no one to call upon other than God and I am sure God sent her to me because it has been one success or the other since I became a member of her Church,” he added. 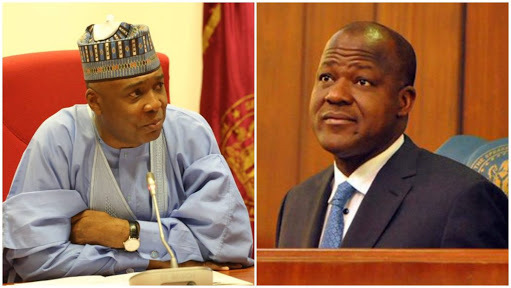 Ekundayo who arrived Nigeria at the weekend on a six-day tour is to also pay a courtesy visit to the Ooni of Ife, Oba Adeyeye Ogunwusi among others.